Young people are upping the ante in the fight against plastic pollution in our oceans. 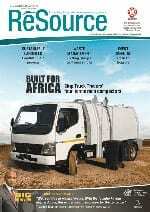 The African Youth Waste Network has been launched in Nelson Mandela Bay. Our reporter Lerato Thipa has more.